On Wednesday, Full Frame hosted RaMell Ross, one of the most acclaimed documentarians of 2018. He generously mentored School of Doc students and answered questions about his journey as a filmmaker and his work, including his groundbreaking documentary and 2018 Full Frame Grand Jury winner Hale County This Morning, This Evening. It was an experience the students, staff, and instructors will not soon forget. 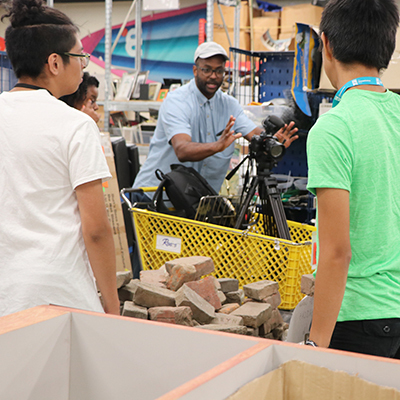 For their final project, School of Doc students spent several days scouting, planning, and shooting a documentary about The Scrap Exchange in Durham. 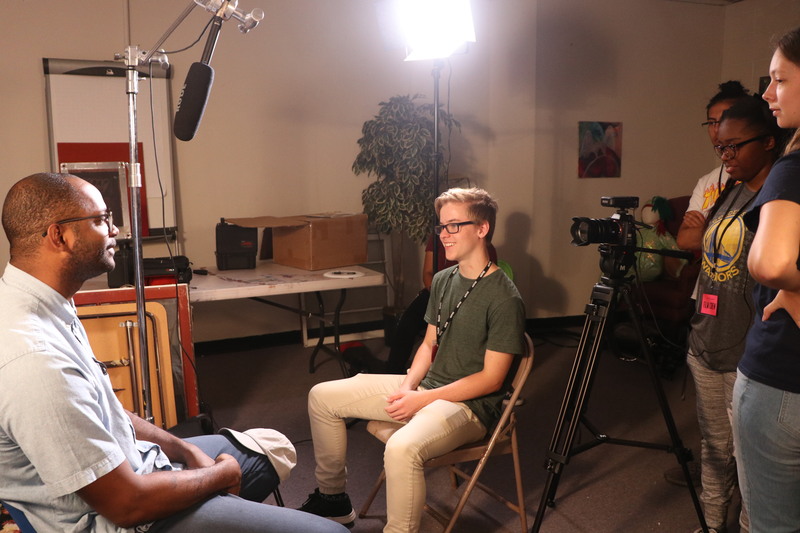 RaMell joined them on location and offered insightful advice about film techniques and how to tell a story with powerful visuals. The students had a wonderful time and learned so much about the filmmaking process from him. 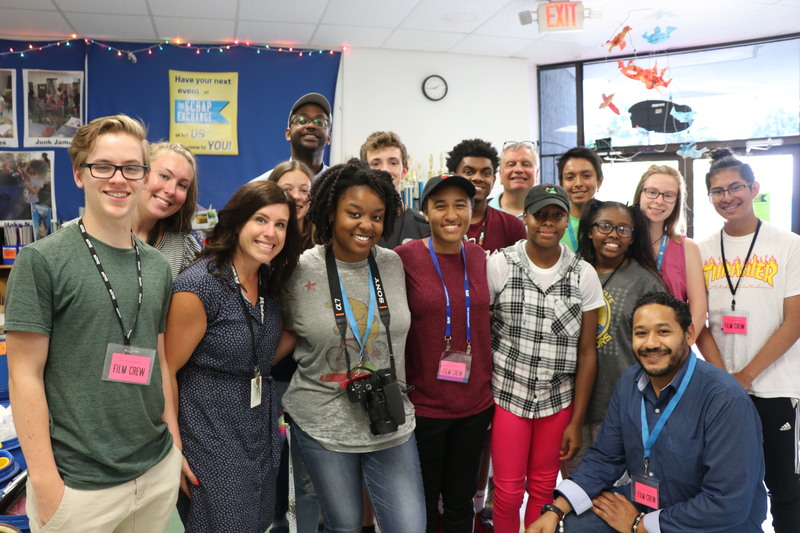 The School of Doc students will present the World Premiere of Renaissance of Reuse: The Scrap Exchange at 6:30 pm on Tuesday, July 17 at Full Frame Theater at American Tobacco Campus in Durham, NC. The event is free and open to the public. Hale County This Morning, This Evening is constructed in a form that allows the viewer an emotive impression of the Historic South – trumpeting the beauty of life and consequences of the social construction of race, while simultaneously a testament to dreaming. The film won the Special Jury Award for creative vision at Sundance and the Grand Jury Award at this year’s Full Frame Documentary Film Festival. It has been acquired by Cinema Guild for distribution. The film is scheduled for theatrical release this fall. Watch the final School of Doc film Renaissance of Reuse: The Scrap Exchange.